Stunningly dramatic coastlines, towering volcanic mountains, spectacular waterfalls, Hawaii is in a league of its own as a cruise destination. Hawaii has largely become synonymous with paradise. It is a multicultural gem where community traditions are kept alive by cultural festivals. It is made up of the descendants of ancient Polynesians, explorers of Europe, American missionaries and Asian plantation immigrants. Capture the sensational Hawaiian sunrises and sunsets and relax on luxurious golden-sand beaches. Hawaii is the best place for a tropical getaway. Heavenly waterfall pools, technicolour coal reefs, enrapturing volcanoes, Pearl Harbor, Old Lahaina Luau, Hilo, Honolulu and Mauna Kea are just some of the many reasons to plan a cruise to Hawaii and see its charm, culture and breathtaking natural beauty for yourself. 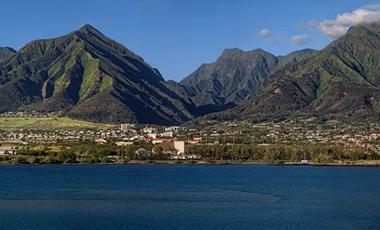 A luxurious cruise can introduce you to heavenly Hawaii from the most enchanting perspective. Our most popular Hawaii cruise is with the Pride of America, which offers an exclusive all Hawaii port cruise. However, there are many cruises leaving directly from Australia to Hawaii that stop at many other exotic ports along the way. Give yourself enough time to explore all the islands, as Hawaii has a bounty of beautiful nature & attractions and activities. Every Hawaiian island is volcanic and have their own distinct climate, so be sure to book a shore excursion or extend your stay with a hotel to have a unique experience. Say Aloha to your best holiday ever! Only Norwegian Cruise Line allows you to see four islands with two overnight stays in seven days. Their award-winning itinerary gives you nearly 100 hours in the ports - so you can capture the spirit and soul of Hawaii as you visit Oahu, Kauai, Maui and the Big Island. Enjoy genuine Hawaiian culinary experiences such as Pineapple Beurre Blanc with fresh seafood, papaya with Asian short ribs plus a variety of tropical juices on board the Pride of America. This round trip cruise from Vancouver not only takes you around Hawaii, but also across the South Pacific. This is the perfect way embrace the island life and end in the picturesque mountainside of Vancouver. If you love watersports, Honolulu is the place to be! From kayaking to canoeing to snorkeling and swimming - you can even take a surf lesson while you are there. Spend 16 days on board the Grand Princess exploring not only Hawaii but also Ensenada, Mexico. 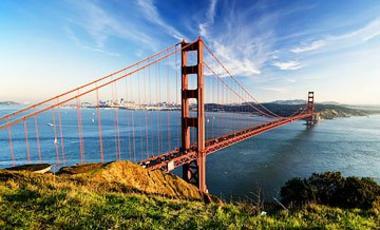 Embark in San Francisco and enjoy 4 relaxing days at sea before stopping in some stunning Hawaiian ports. When you are visiting Hilo, take a day trip out to the mountains. Mauna Kea and Mauna Loa provide stunning views of the island from above. Honolulu, the capital of Hawaii, is often the first stop for tourists. The Wakiki beach is the centre of activity in Honolulu, with an impressive crescent shaped beach front and a large amount of hotels close by. Known for surfing, Honolulu is ideal for anyone with an interest in watersports, from canoeing and kayaking to snorkeling and swimming. Honolulu is also known as a hotspot for arts, culture and nightlife. With a large number of clubs, restaurants and bars in Wakiki and Chinatown you are sure to find the ideal place for you. In Hilo discover a diverse and beautiful landscape, from white sand beaches and dramatic waterfalls to black sand beaches and snow-covered volcanoes. The charming farmer's markets, restaurants and shops in Hilo town are sure to keep you entertained for your stay. A day trip away from Hilo is also highly recommended, with two mountains, Mauna Kea and Mauna Loa, being in close proximity, providing an ideal way to view Hawaii Island from above. The slow and friendly pace of Hilo make it the perfect place to discover Hawaii. Kailu-Kona is a busy beachside located along the sunny Kona coast. From the harbor you can see Hualalai, one of three active volcanoes in Hawaii. Kailua Village is becoming a well-known destination for great shopping, dining and immersing yourself in Hawaii's rich culture. There are a number of important historical landmarks in Kailu-Kona such as Hulihee Palace, a museum in the holiday home of the former Hawaiian Monarchy. Go explore some of the natural wonders that make Kailua unique, such as waterfalls and volcanoes. Kona has an array of restaurants and bars to enjoy fresh hawaiian food and world famous Kona coffee. Discover the local history and culture at Hulihee Palace. Lahaina is a town on the island of Maui, which has a distinctly historic feel. Reminders of the history of Lahaina still remain very visible today, from the remains of the city wall to the Banyan tree in the town square which was planted in the 19th century. Lahaina is fast becoming a popular destination for a tropical getaway. Enjoy a scenic stroll along Front Street, which is known for it's particular charm as well as a variety of shops, restaurants and bars. 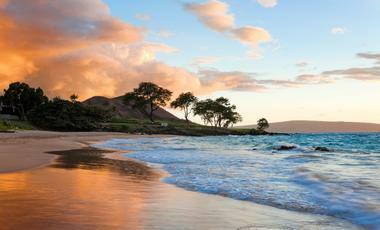 Visit some of the most beautiful beaches inj Hawaii, including Ka'anapali Beach, which is one of the best in the USA. Kauai is Hawaii's oldest island often referred to as the "Garden Island" and offers many attractions. There is an abundance of natural beauty on the island, with a stunning array of flora and fauna, as well as the forest and cloud-covered peak of Mount Waialeale. The island has many hiking trails for those who want an active holiday and beaches for those who would rather relax. The perfect way to see the island is by air, with helicopter tours bringing you to locations such as the Na Pali coast and the dramatic Waimea Canyon. Maui is the second largest island of Hawaii. For many, it is the epitome of the island chain with fantastic sandy bays surrounded by cliffs, valleys and thundering waterfalls, with lush rainforests and plantations dominating the landscape. A holiday to Maui is the perfect opportunity to experience some adventure, with outdoor opportunities including hiking through volcanic craters and surfing. The sacred Iao valley is a key landmark of the area. Lanai is the state of Hawaii's sixth largest island. It is also known as "Pineapple Island" as it was the world's largest source of pineapples. The island is a peaceful and sparsely populated part of Hawaii meaning it is the perfect way to discover the region, from relaxing stays in luxury hotels to exploring the clear waters on a scuba diving trip. Lanai gives you the chance to soak in the stunning scenery on one of the beaches, discover the best of the island on a tour or explore the history of the region at a number of different cultural centres. The Island of Hawaii, also known as the "Big Island" is the state of Hawaii's largest island. The island is an ever-growing and amazing example of the vast range of beauty to be seen in Hawaii. From powerful volcanoes and black sand beaches to snow-capped mountains and tropical plants, the Big Island is truly an amazing place, and one that has to be seen to be believed. A superb way to see the island is from the air, with a number of providers offering plane tours, helicopter tours and even parasailing tours. The Mount Kilauea in Hawaii is one of the most active volcanoes in the world. You can witness a stunning spectacle, when the red-hot lava meets the Pacific Ocean. The current eruption of Mount Kilauea started over 30 years ago and despite this tourists are still attracted to the wild beauty of the volcano and the magnificent views it offers. A trip to Mount Kilauea is perfect for the adventure seeker, where you can hike the volcano or even see it from above on a zipline adventure. Molokai is one of the state of Hawaii's many islands, and is the fifth largest. The island embraces the real Hawaiian spirit with a slower pace, smaller buildings and a more peaceful way of life, making it an ideal cruise destination. It is like stepping back in time as there are very few vehicles and no high-rise buildings. The tranquil waterfalls, beaches and sweeping mountains are ready to be explored. 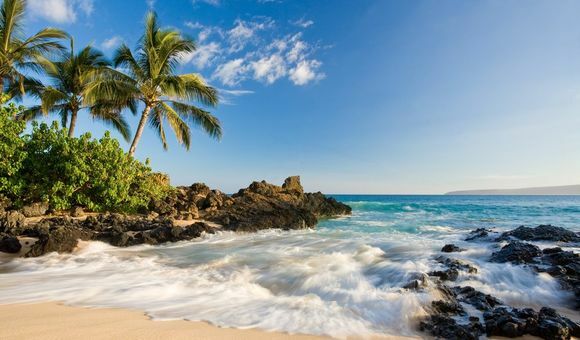 One of the many deserted sandy beaches will be the perfect place to take a stroll and find ultimate relaxation, and discover the best of Hawaii. Olowalu is located of the west side of Maui in the U.S. state of Hawaii. Once a place of refuge, it now offers visitors a wonderful place to explore the natural beauty of Hawaii. Olowalu Reef offers some of the calmest and best diving locations in all of Maui and is also where spectacular ranges of wildlife like Manta Rays can be found. This quaint oceanfront area on the West side of Maui offers you an abundance of natural beauty to be explored, from imposing mountains to spectacular reefs waiting to be explored. Experience a different kind of paradise and escape to Kauai, the Aloha State’s oldest and northernmost island. This beautiful island landscape holds an abundance of lush emerald rainforests and sweeping rivers. An unspoken rule amongst Kauain locals states that no building can exceed the height of a coconut tree, allowing the skyline to be dominated by swaying green palms and majestic mountains, often under a brilliant rainbow. A wide variety of outdoor activities are available from snorkelling with turtles to hiking along one of Kauai’s many extensive trails. Leisure seekers can sample the island’s golden sand beaches and soak up the long-lasting Hawaiian sun. For the unique cosmopolitan experience look no further than Honolulu, a city bursting with a dynamic culture and vibrancy on the island of Oahu. For a colourful array of exotic local marine life, discover the Waikiki Aquarium and get the chance to meet some of the city’s most loved residents – the exuberant Hawaiian monk seals! Manoa Falls makes for a fantastic dense forest hike, along with boasting a spectacular waterfall at the end of the trail. The best time to cruise in Hawaii is in the summer months. If you’re looking to avoid the crowds then the months of February and September have low rainfall and a comfortable temperature in the mid 20’s. Now is the best time to search our best options on Hawaii Cruises. 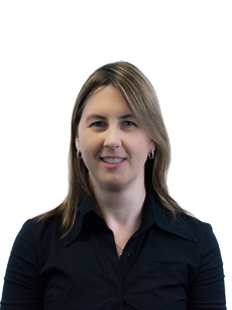 Call today on 1300 887 590 and talk to one of our cruise experts. Want more options? Check out all our cruises on our homepage or have a look into our specialty pages for cruise deals along with last minute and cheap options.